How many times have you heard people say these? How often have you made the following remarks? 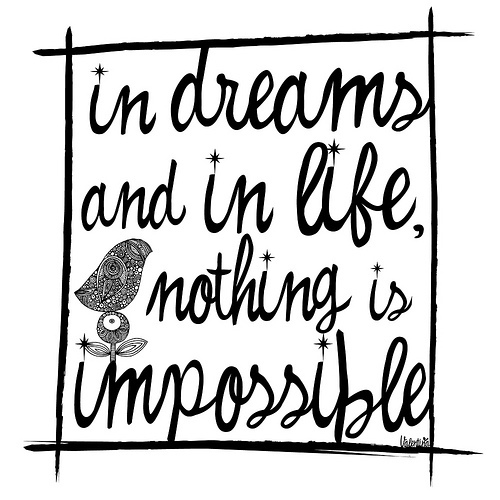 Do you really think that there are impossible things in this World? Do you genuinely feel that people have limited capability in getting the things done? Is that really so? 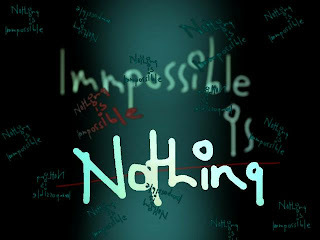 I would say that impossible is nothing! Napoleon Bonaparte remarked, “Impossible is a word that is found only in a fool’s dictionary”. Do you want to be one among the scores of fools? 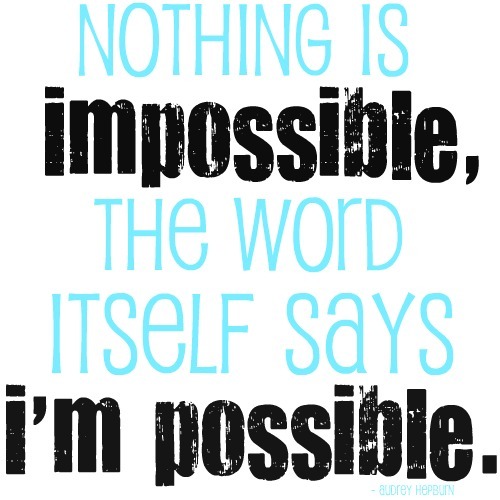 An optimist would say that the word impossible itself says I’m Possible. Is your mind blind enough to not to see that? 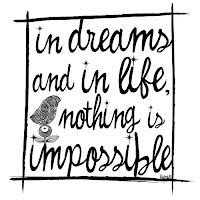 Do you truly disagree with me if I say that dreams which originate from heart has the intensity to make the impossible possible? Don’t you think that human mind has the power to do anything if he/she strongly believes in it? Somebody asked, if impossible is nothing can we put the tooth paste back into the tube? I would say, why not? If you are determined enough to put the paste back into the tube, would you find alternative ways to opening it; ways to re-seal it? Your brain would work harder to impress your heart and ultimately, you would end up inventing something innovative. Let me tell you that nothing is impossible. As long as you don’t feel the necessity of something, you tend to believe that it is impossible. It was believed that it is impossible for human beings to fly because they don’t have wings like birds. Man’s longing to fly like a bird made him come up with an airplane. Had he not dreamt of flying, today we would not be flying high on air with birds as our fellow traveler! These examples may sound too scientific and technical to you. Now let me ask you something. Travel back to that first day in your school, college or workplace. Everything would have been new to you. You would have felt that it is impossible to make new friends or adjust to the new environment. You might withdraw yourself and try to live in a world of your own; but for how long? Eventually, you would get bored of keeping away from others. You may start liking others owing to your strenuous observation. You start having fun with people around you and fall in love with what you are doing there. And, when the time comes to part and go to some other place. At that time, you would feel like it is impossible to leave all of them behind and adjust in a new environment. Sooner or later, you would move on and what was impossible till few days before would become possible. There are people who think that they can’t study because they are too old for that. They believe that it is impossible to tune their brain to memorize everything. But, don’t we know so many people who keep their hunger for continuous knowledge renewal and revision even when they have crossed three fourth of their life? Come on, we are what we think we are. If we think that we have limited capability, then yes, we have limited capability. 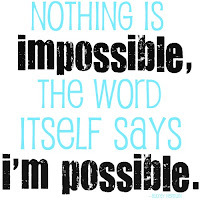 If we think that we are capable of anything and that nothing is impossible, then yes, nothing at all is impossible. Join the club of positive thinkers. Hi Satya chitti! I really loved the last paragraph!Awesome!